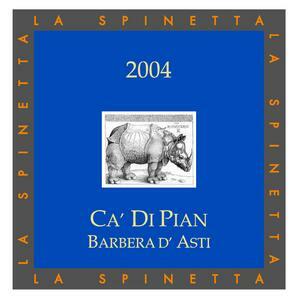 La Spinetta Barbera Ca di Pian comes from younger vine Barbera grown in two sites: Castagnole and Costigliole where the Bionzo vineyard is located. The vineyards together are about 23 hectares. The vines are 6-20 years old and grow on calcareous soil at 300 meters above sea level, at a southern exposure. Harvest usually happens in the last week September to early October, after which time, the grapes are fermented in rotofermenters for 6 to 7 days. The wine then ages for 12 months in a mix of new and old, medium toasted, French oak barrique. 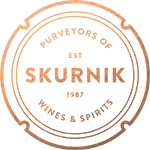 Malolactic fermentation takes place in the barrique. The Ca di Pian Barbera is aged for another two months in bottle before its release.